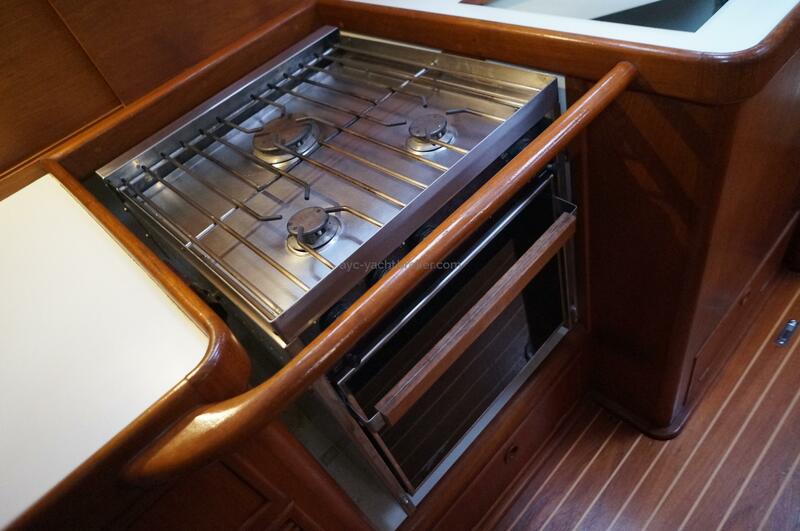 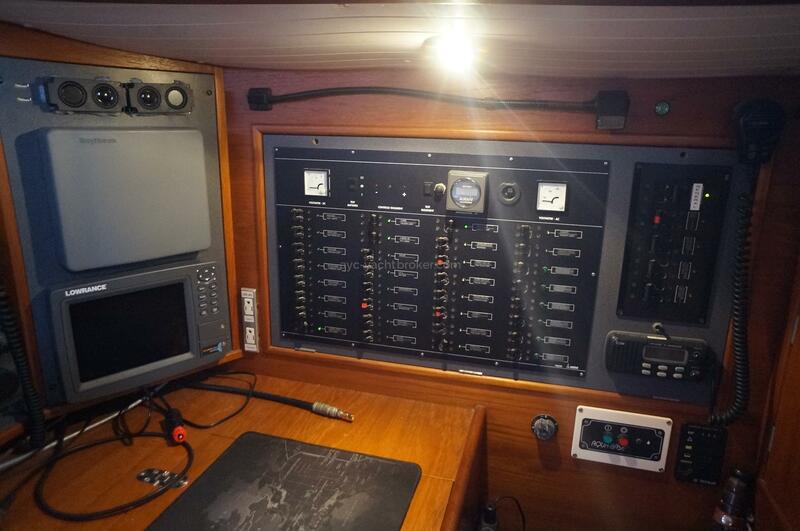 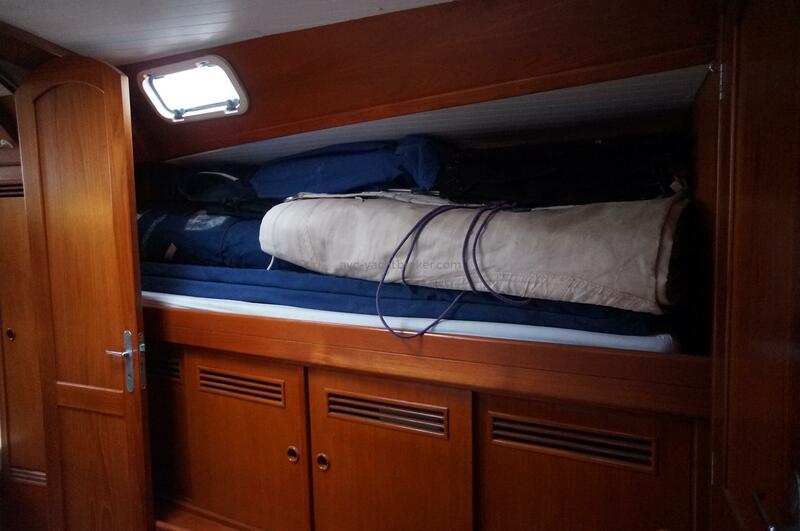 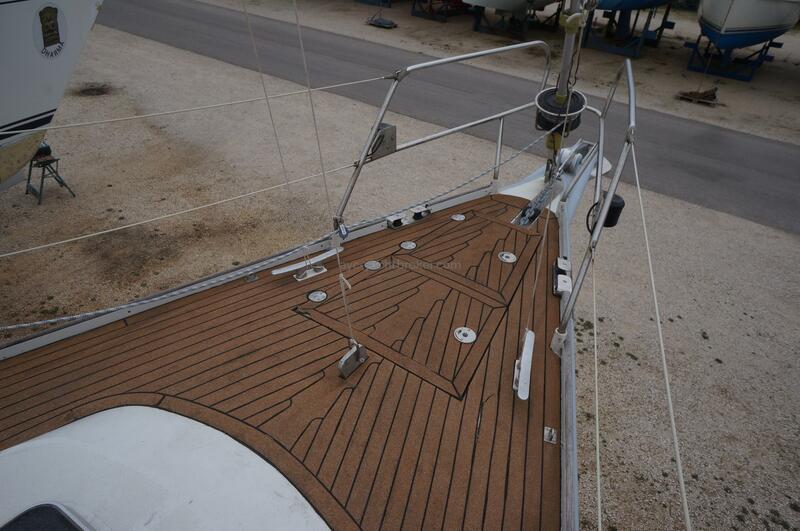 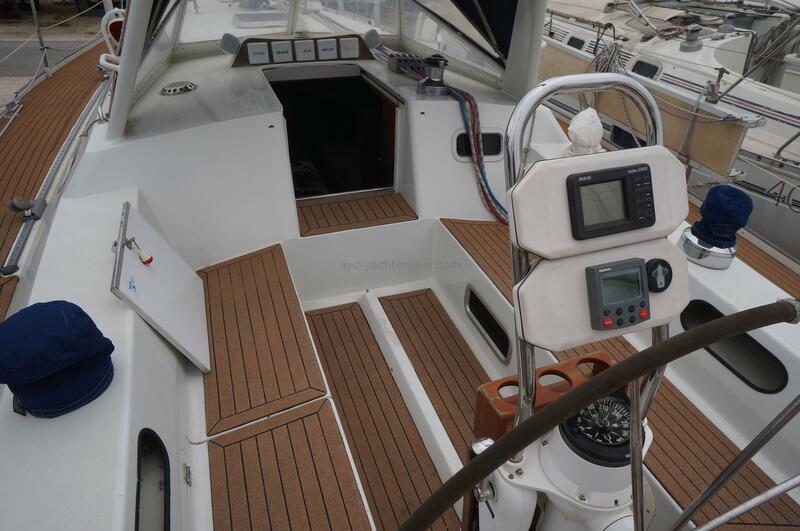 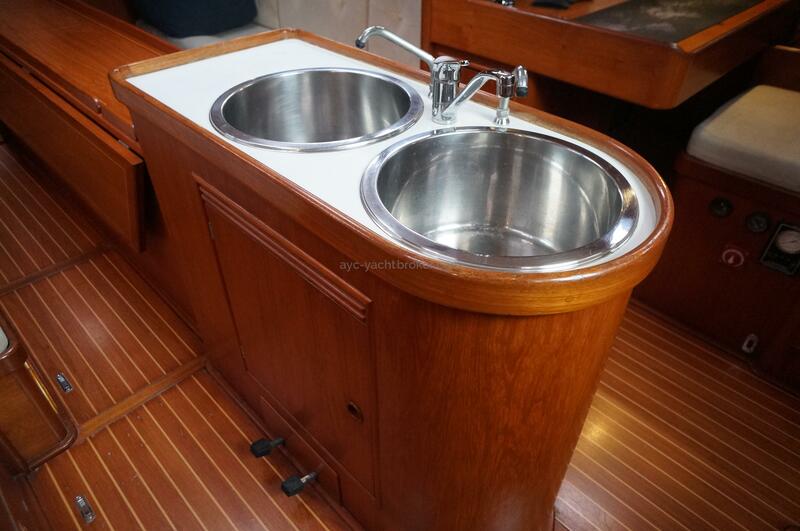 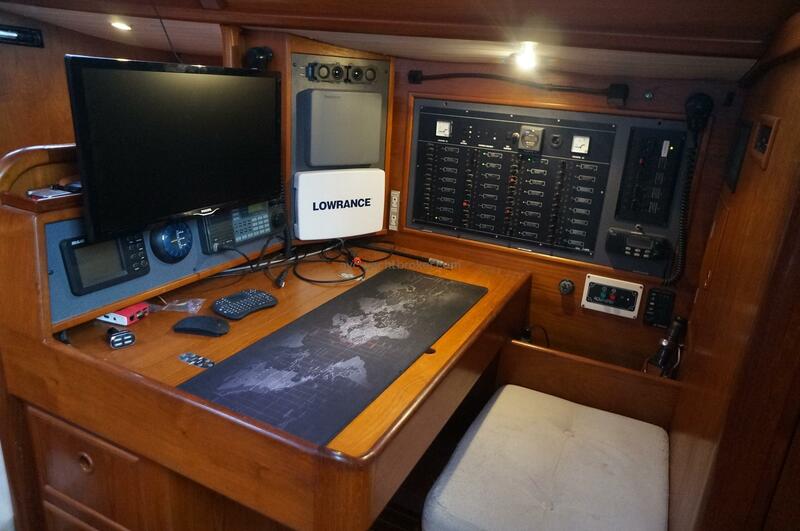 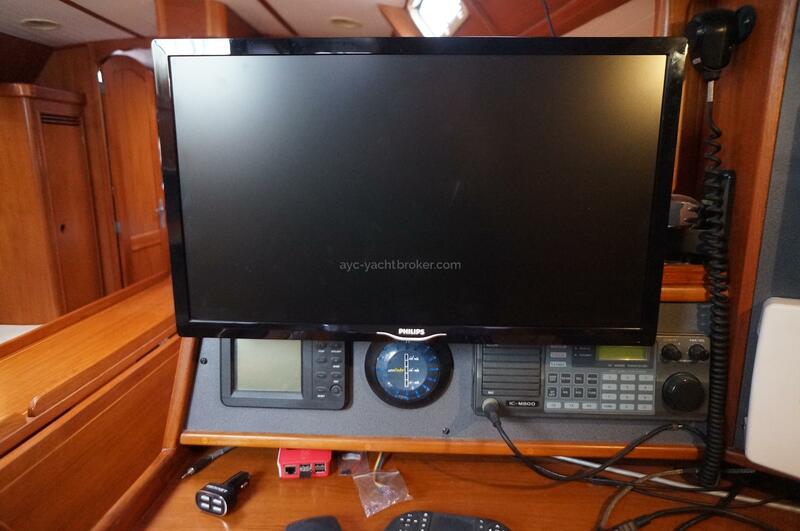 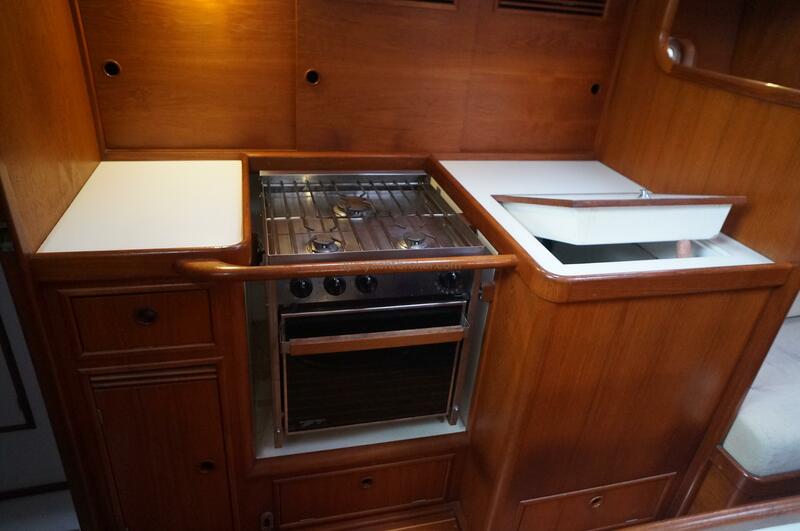 Designed by Berret - Racoupeau, the ALLIAGE 44 is a fantastic aluminium round-bilged centerboarder. 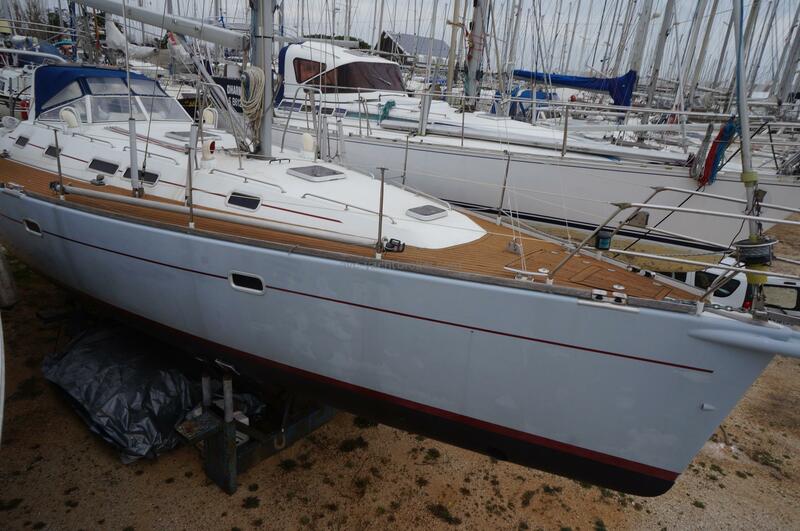 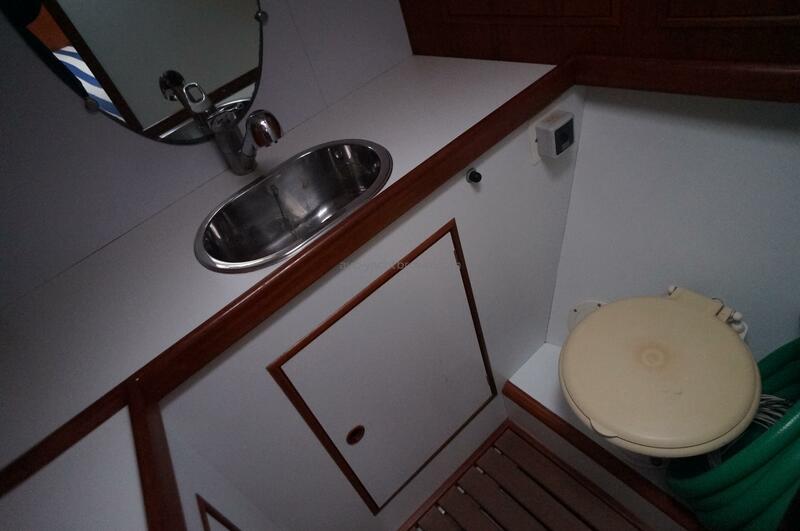 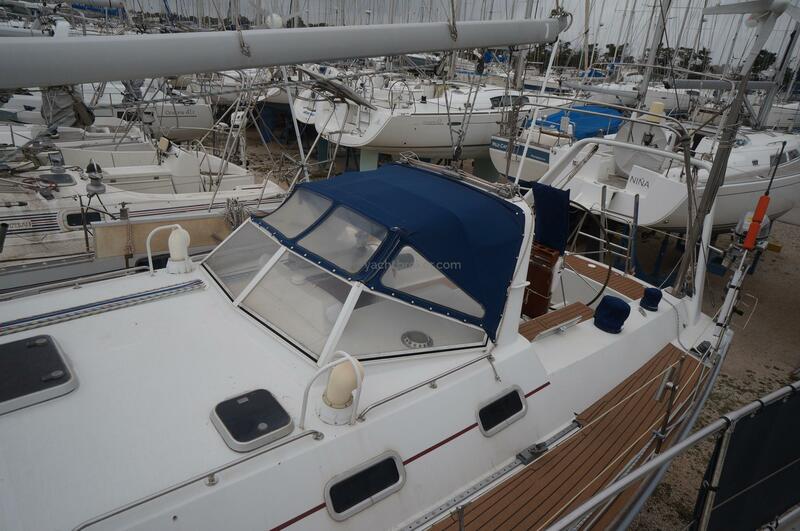 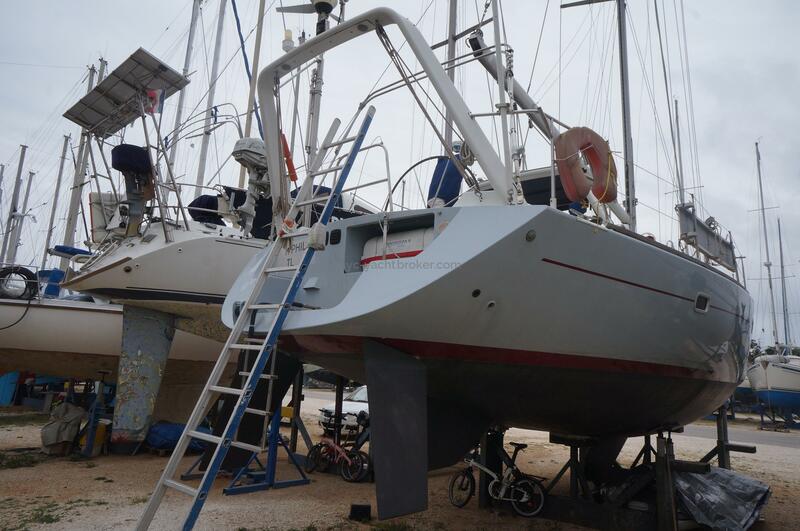 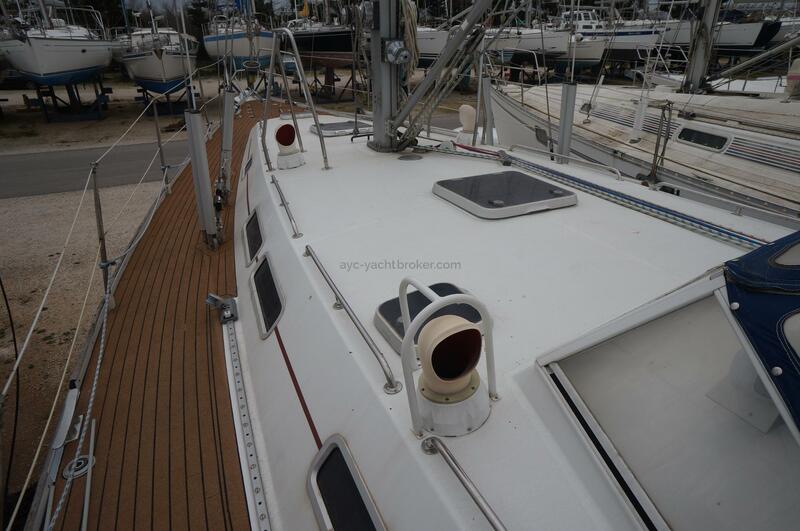 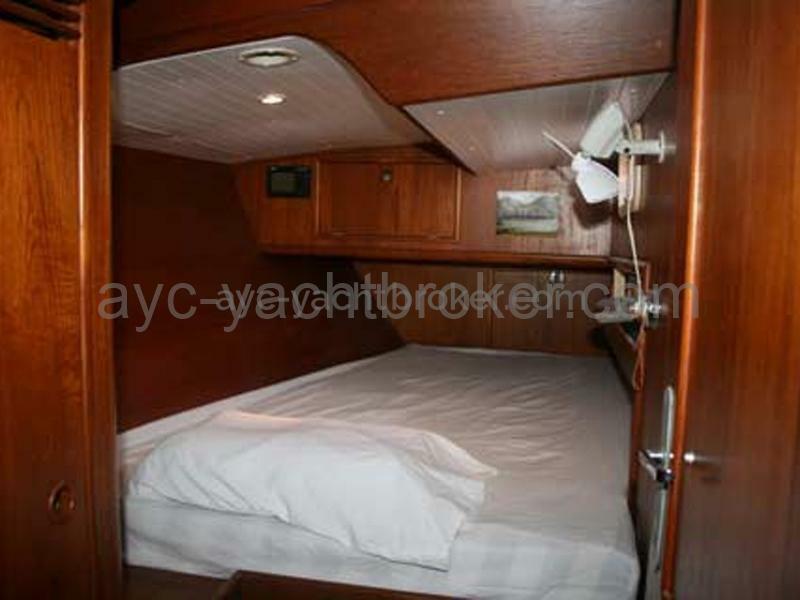 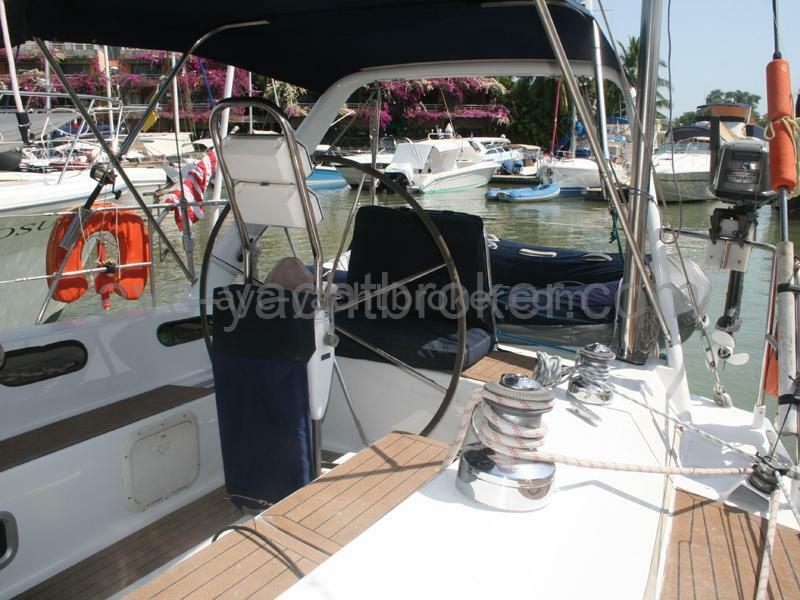 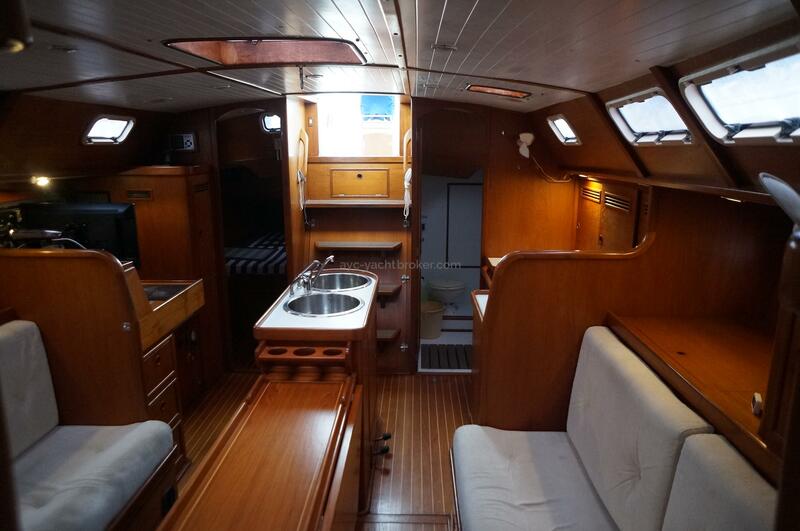 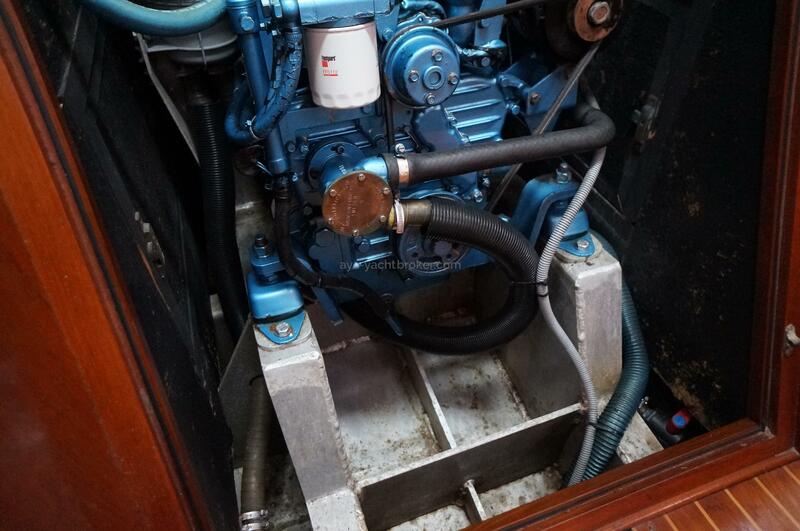 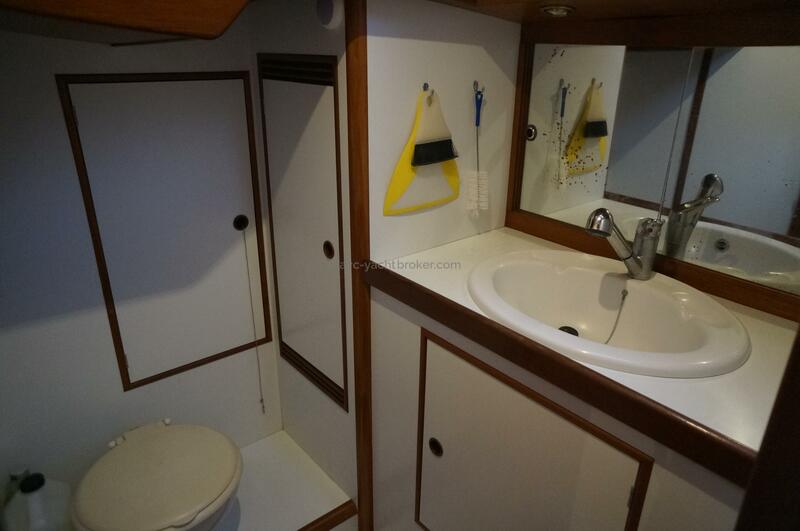 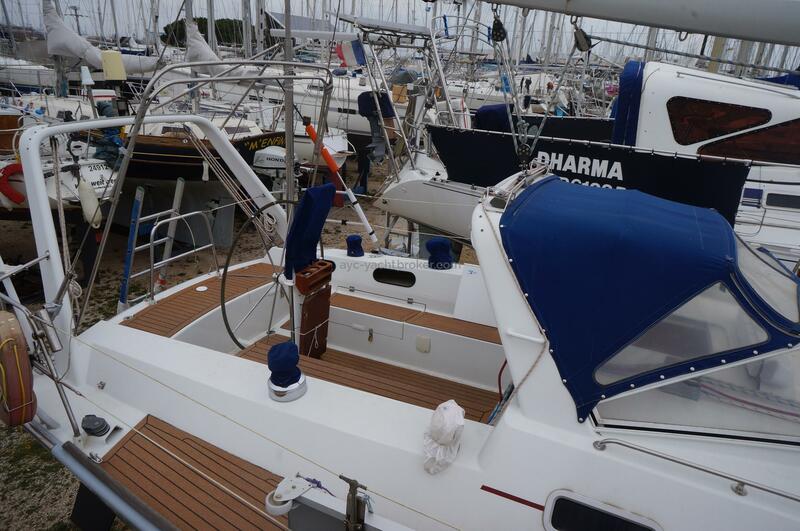 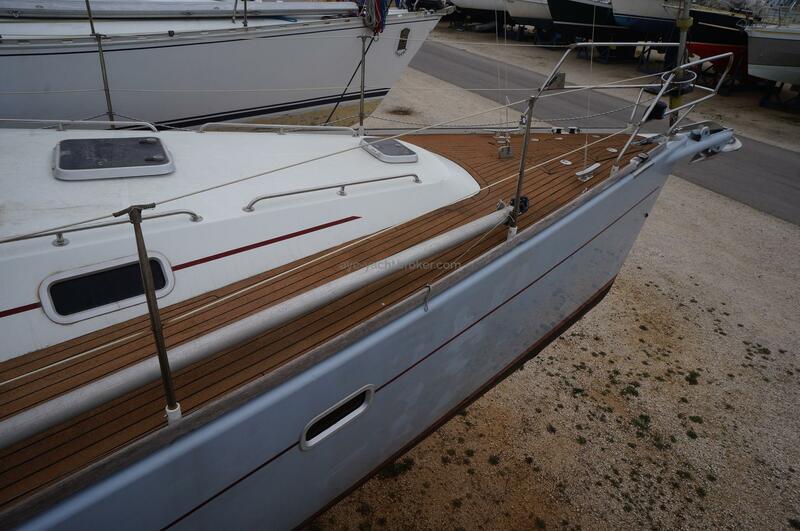 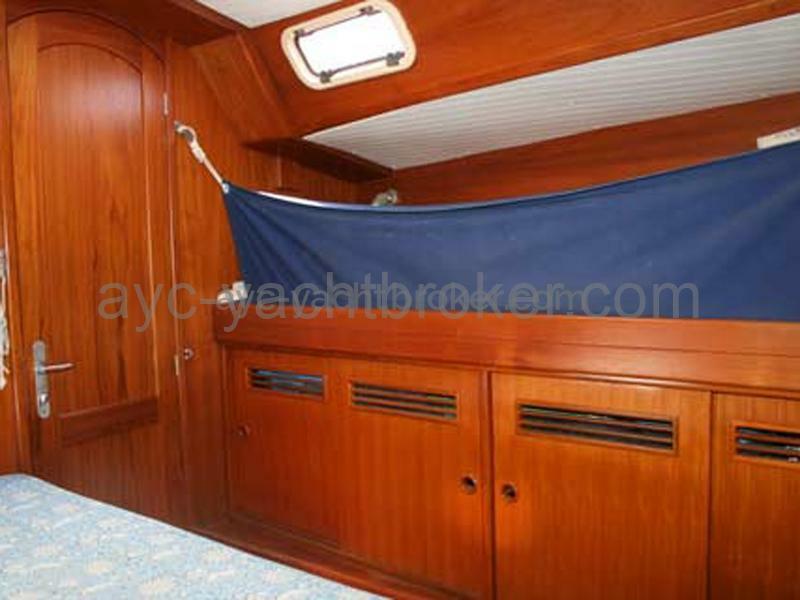 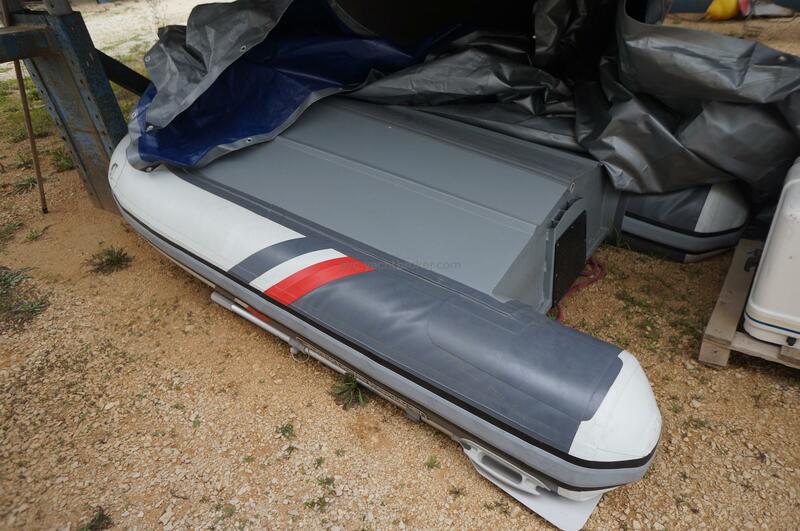 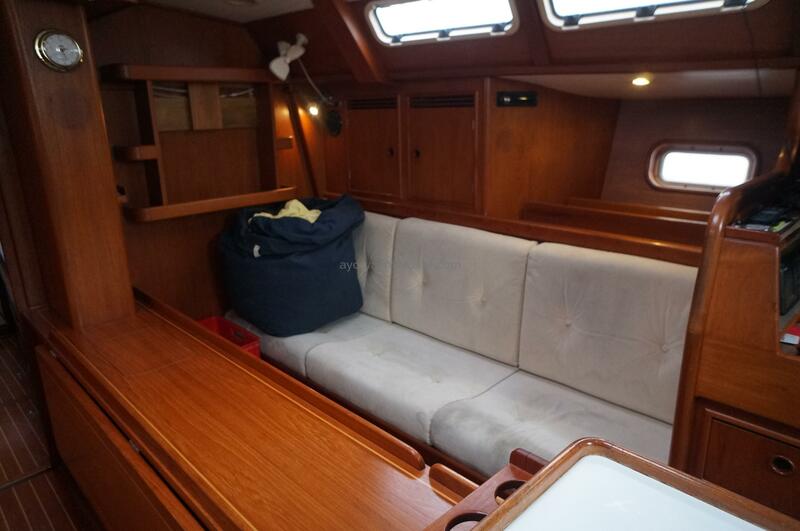 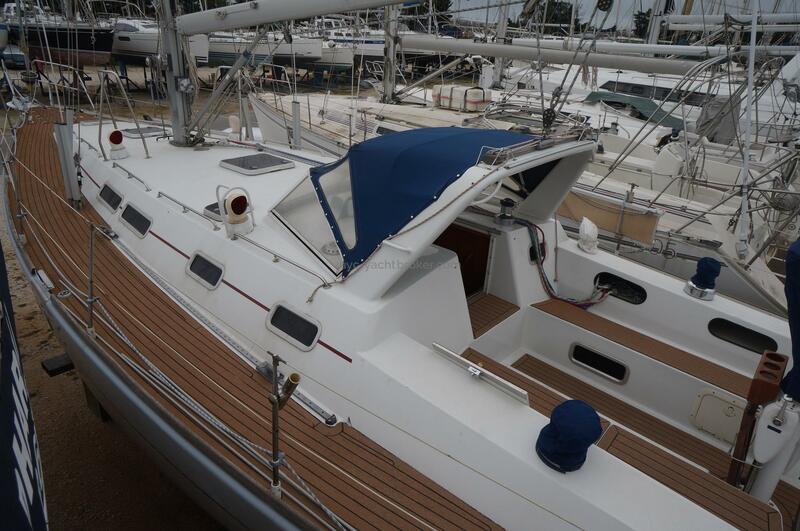 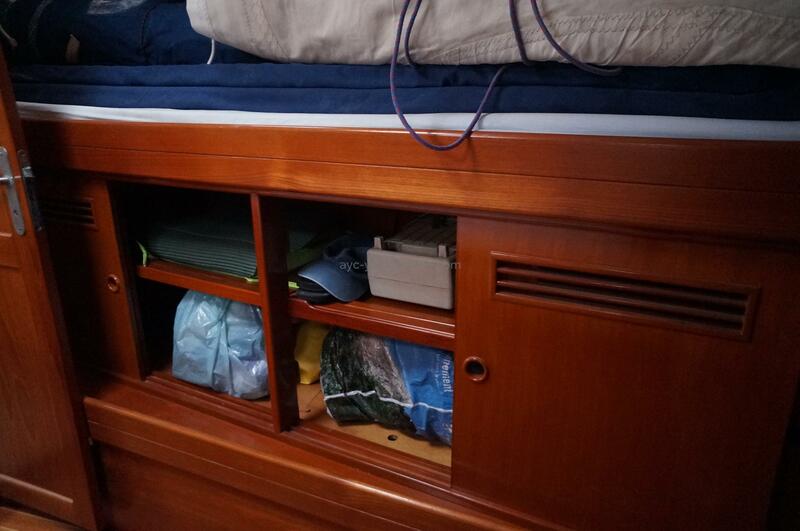 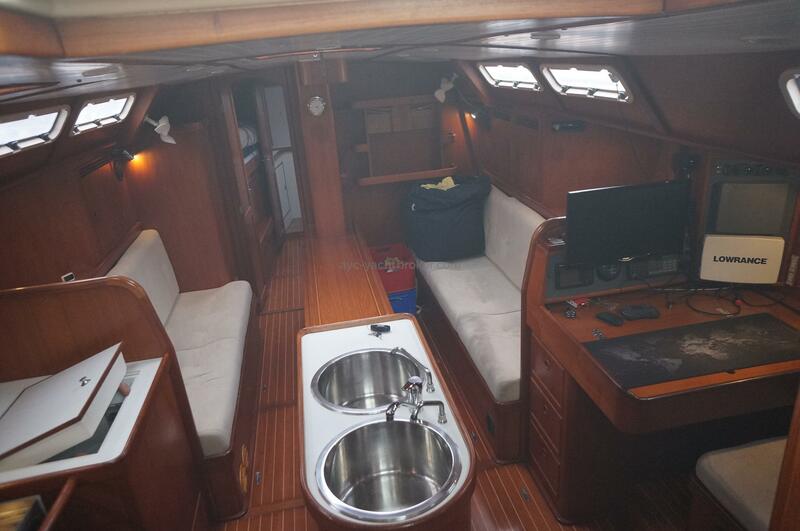 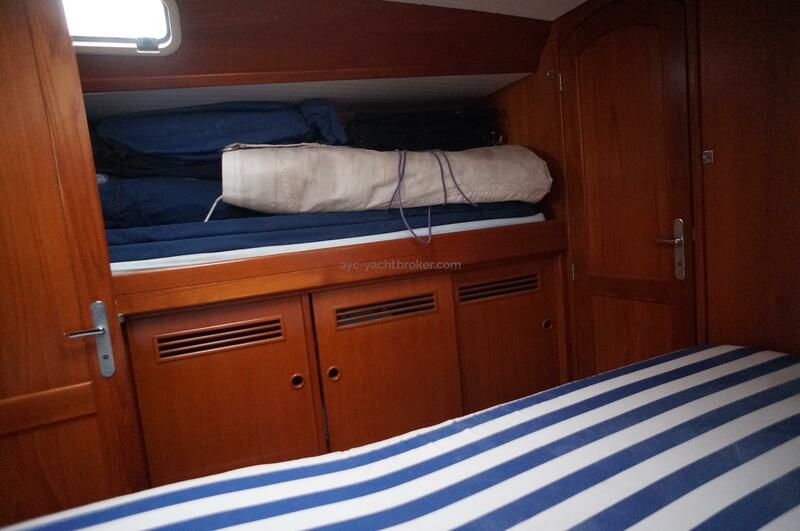 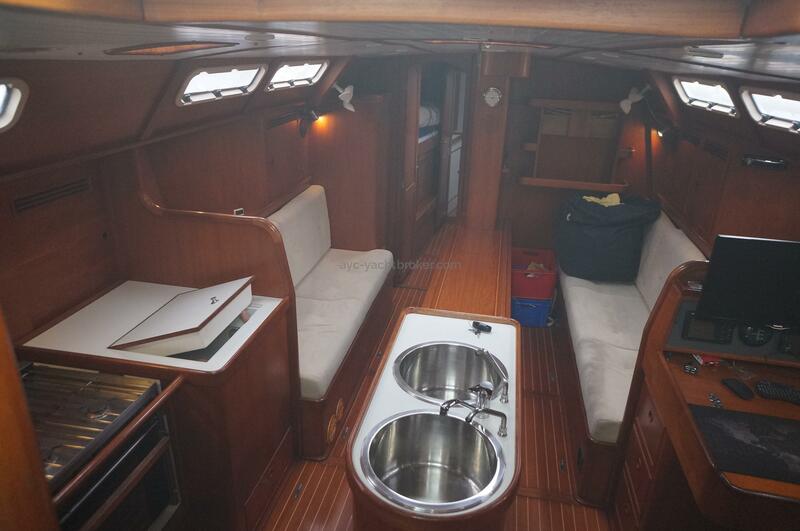 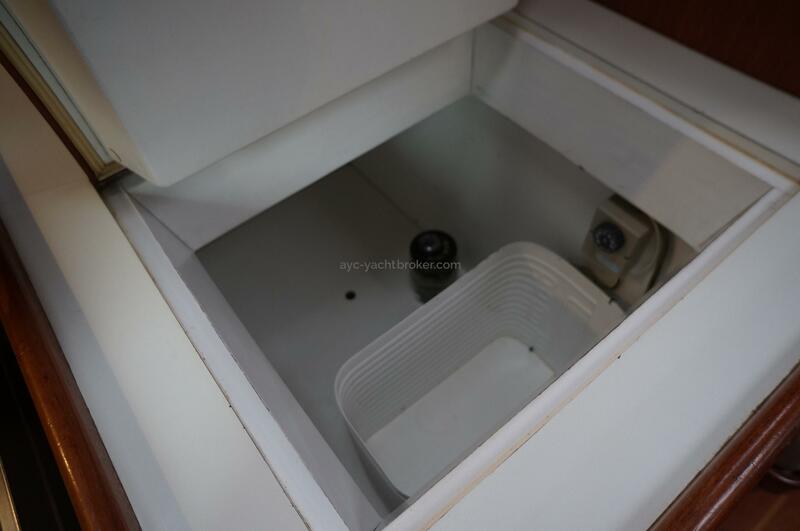 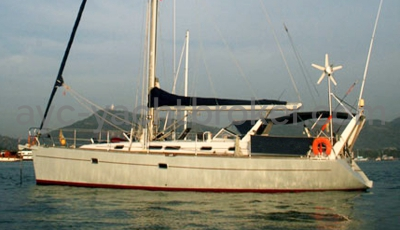 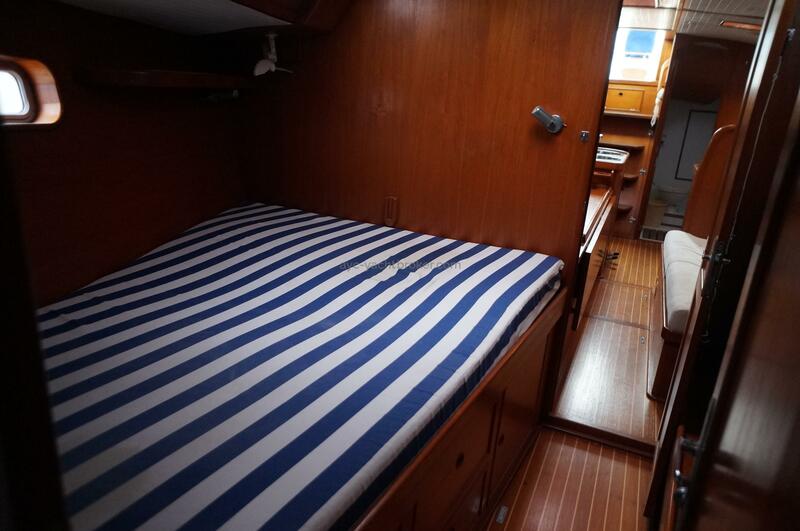 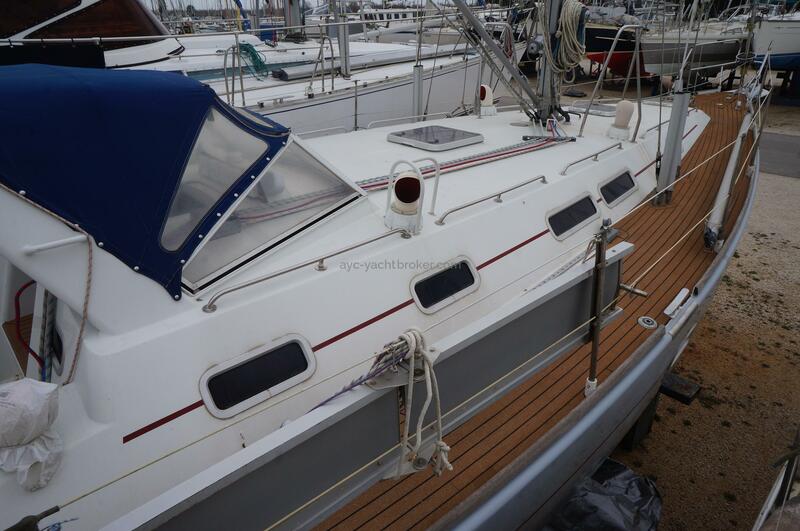 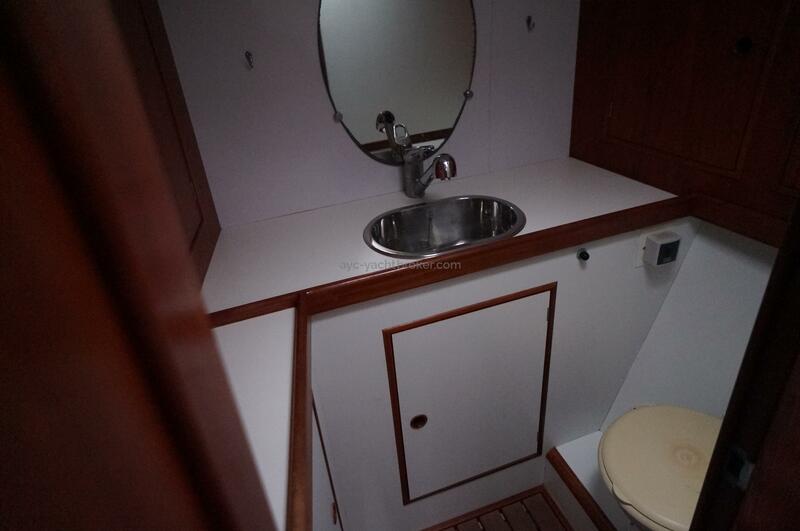 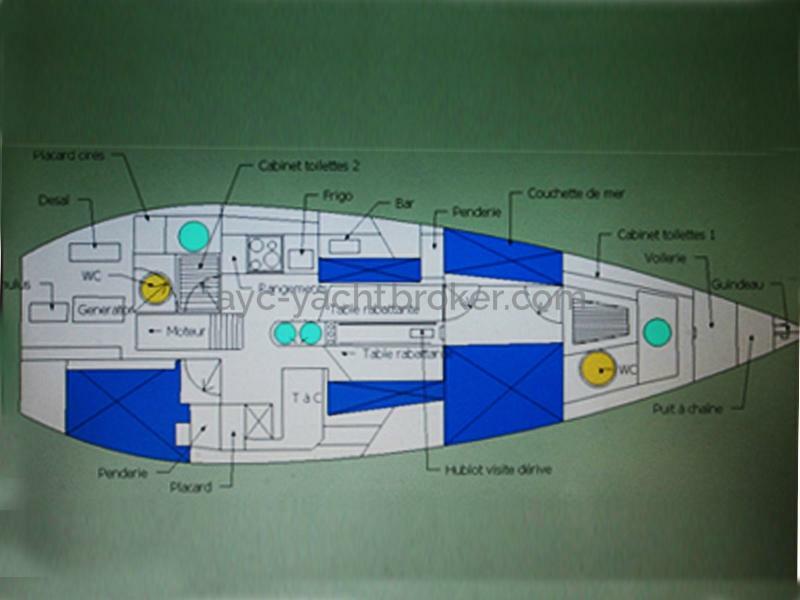 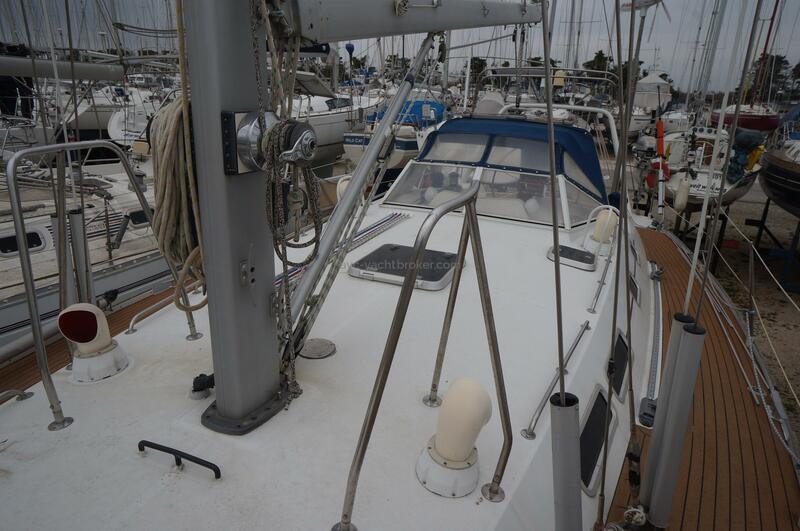 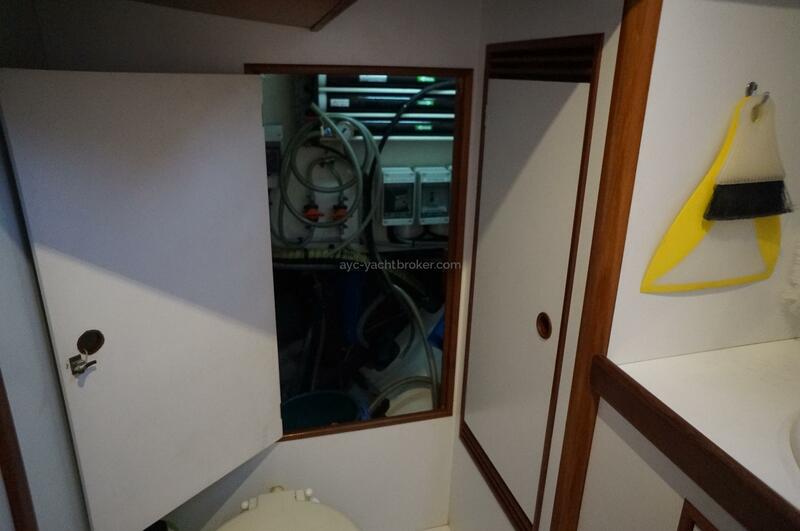 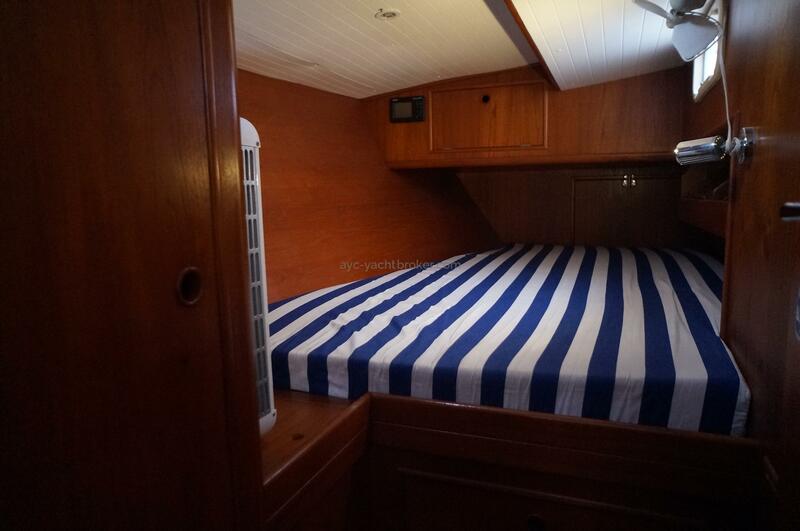 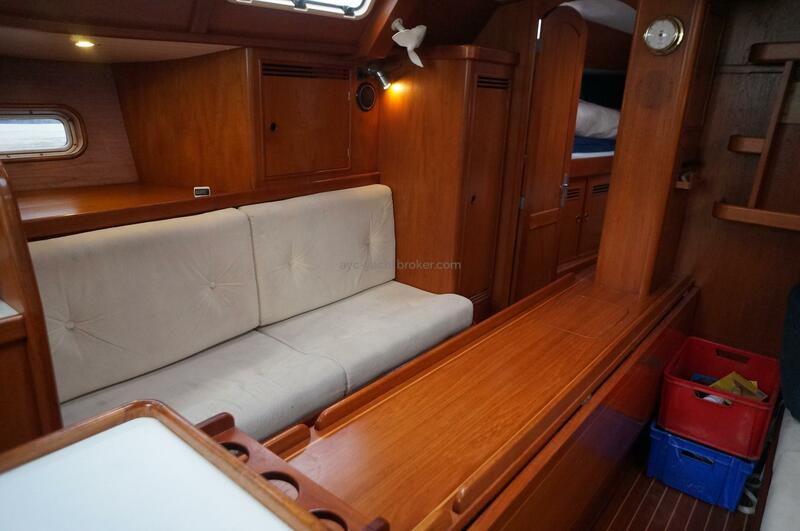 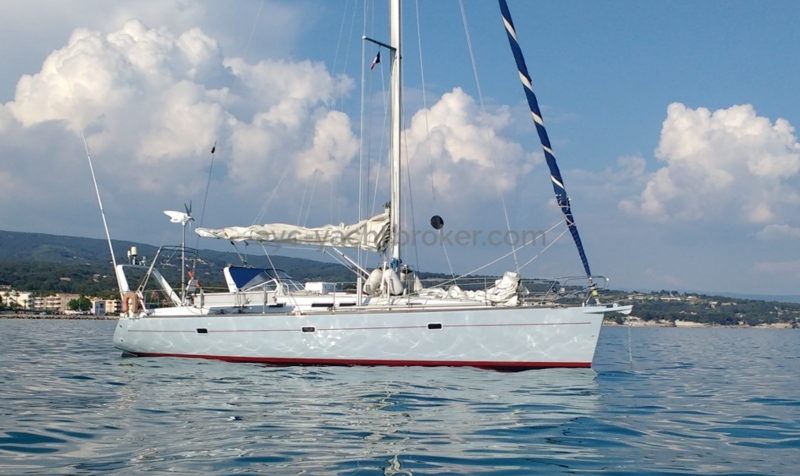 In 2 cabins version, this strong sailing boat is very well equipped, easy for two persons, very comfortable during blue-water cruising or anchored.Very stable with is two rudder. 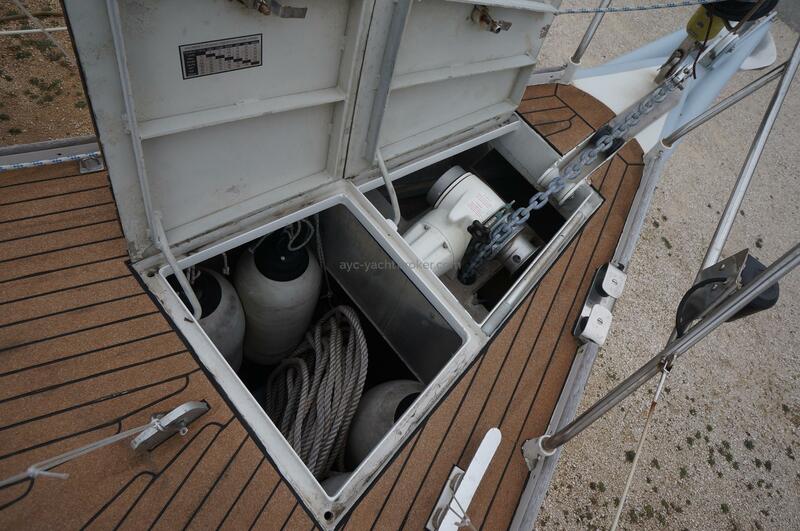 Good insulation, she is made to enjoy nice moorings. 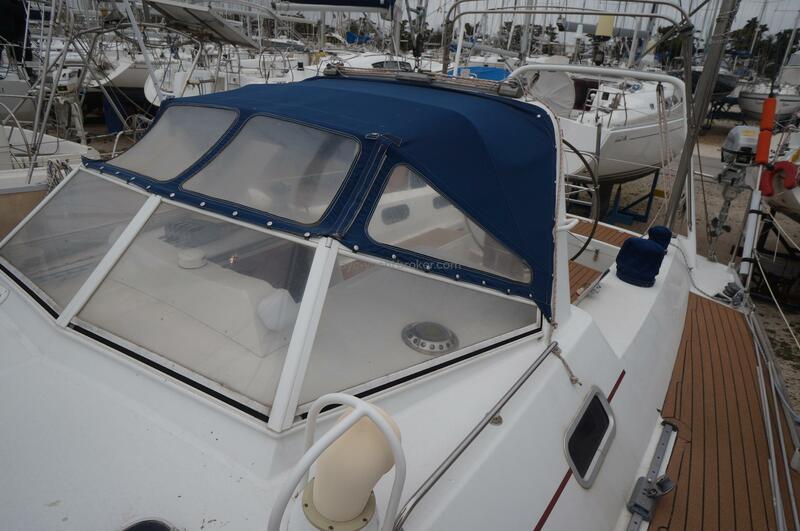 I bought this boat in 2016. 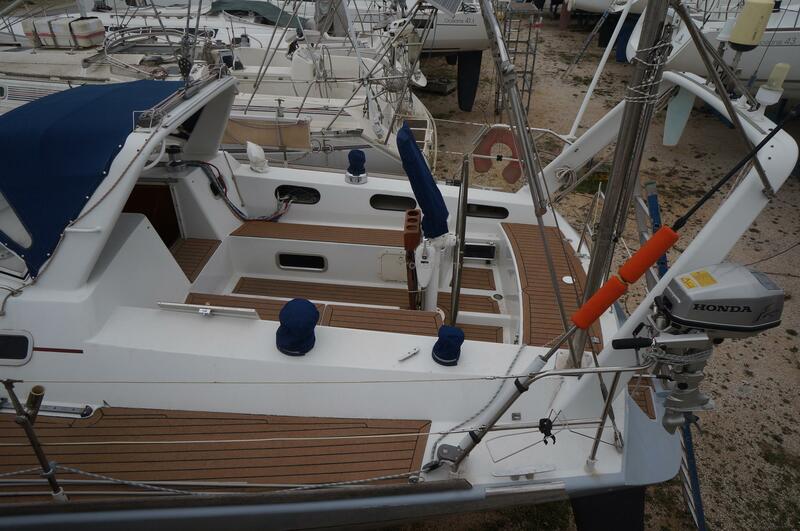 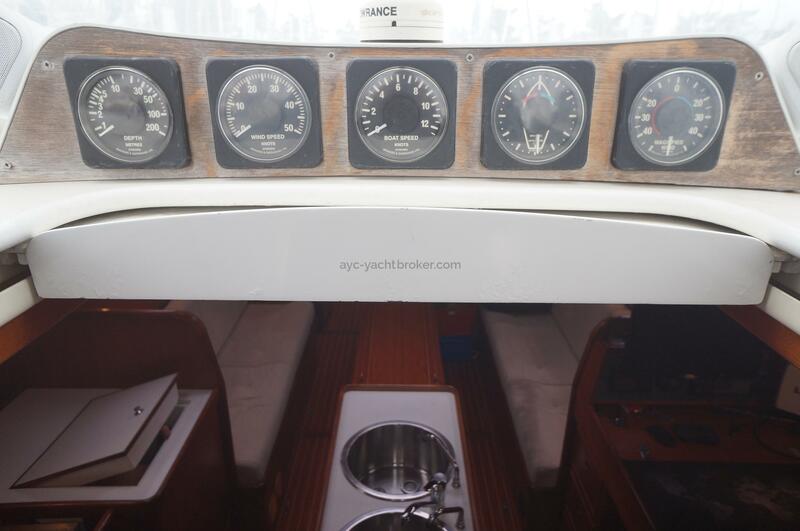 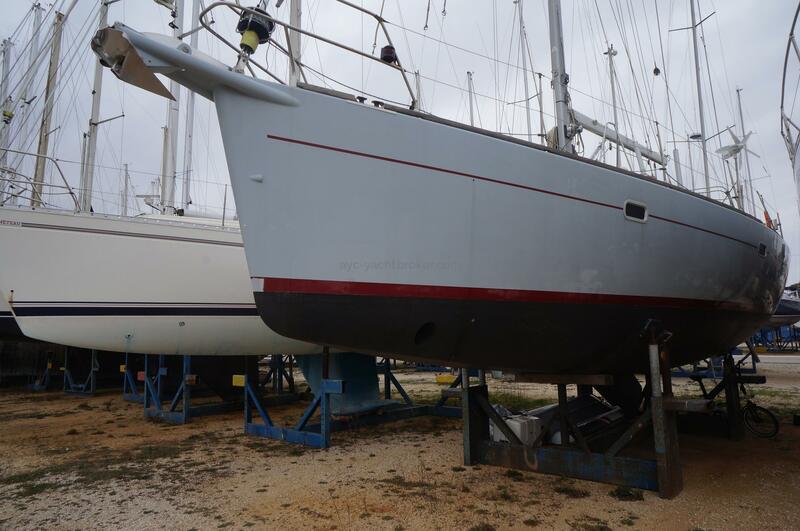 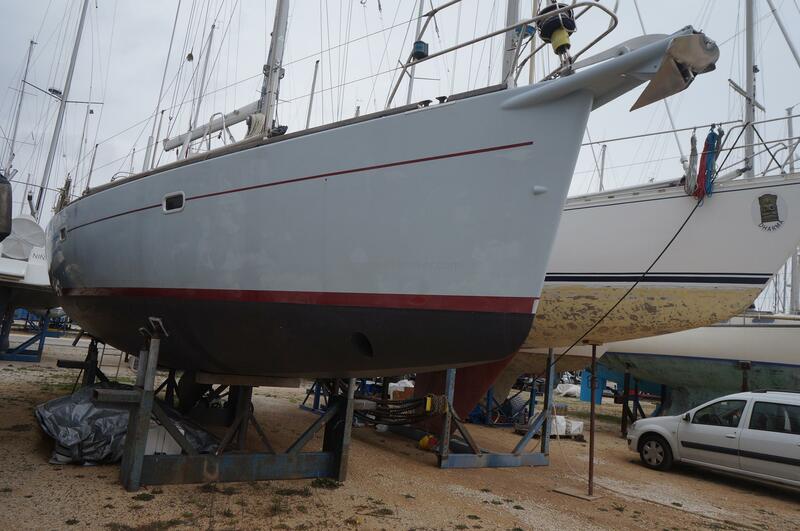 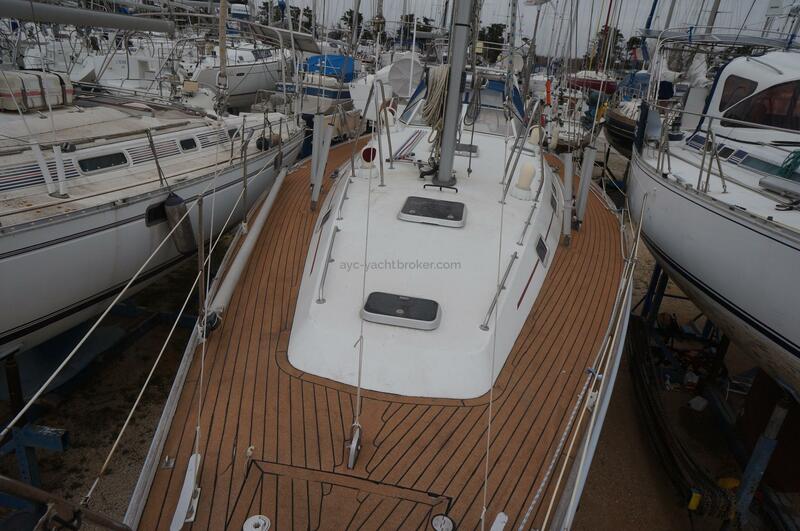 Its first owners went around the world with her and there was a bit of a retrofit to do on her. 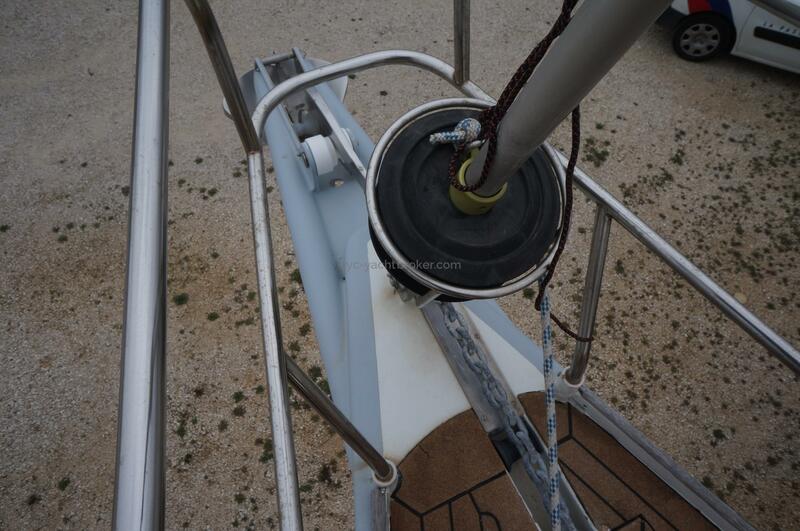 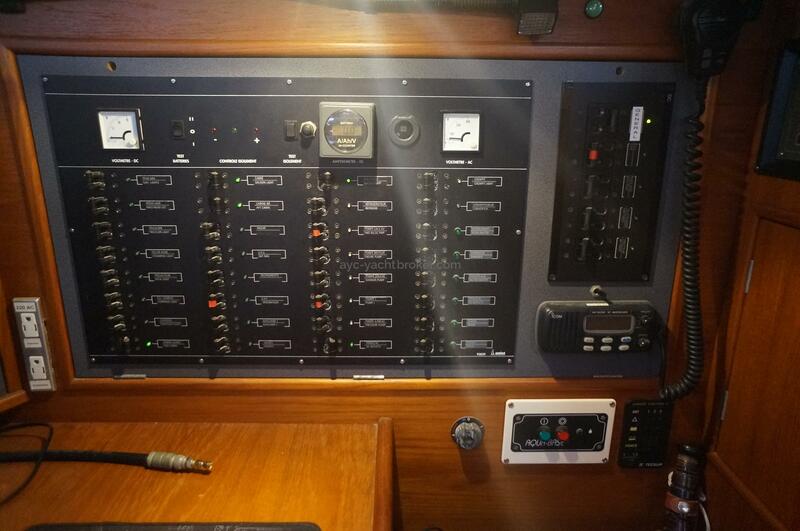 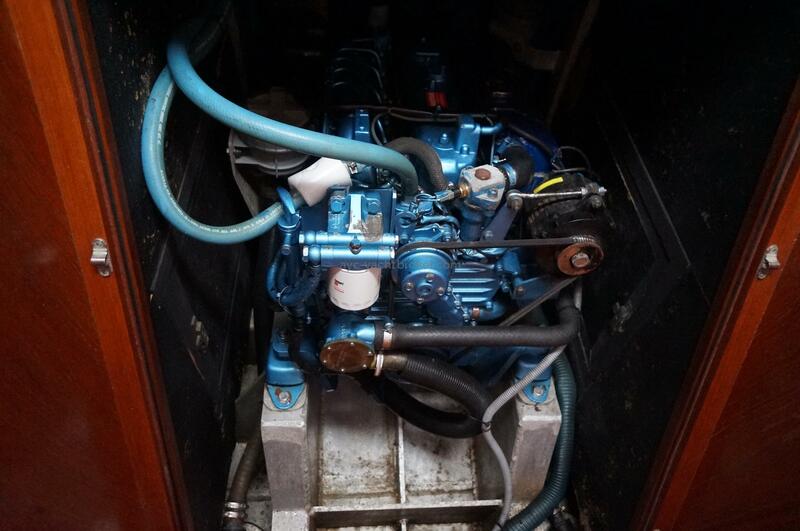 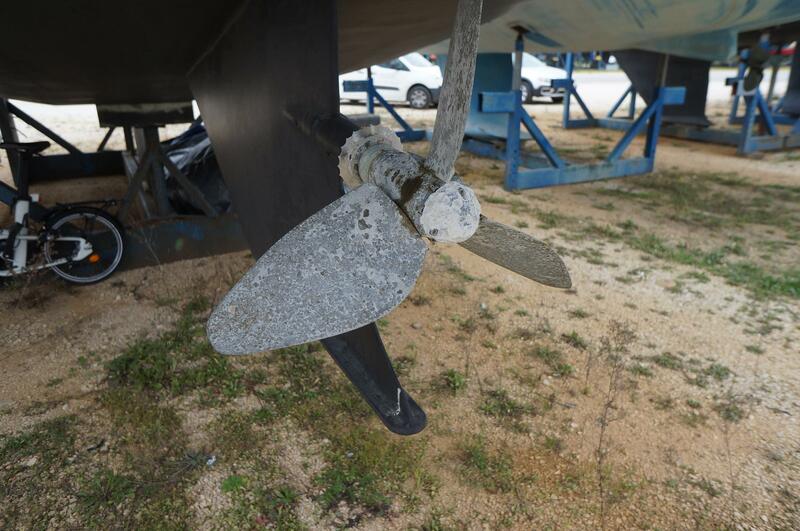 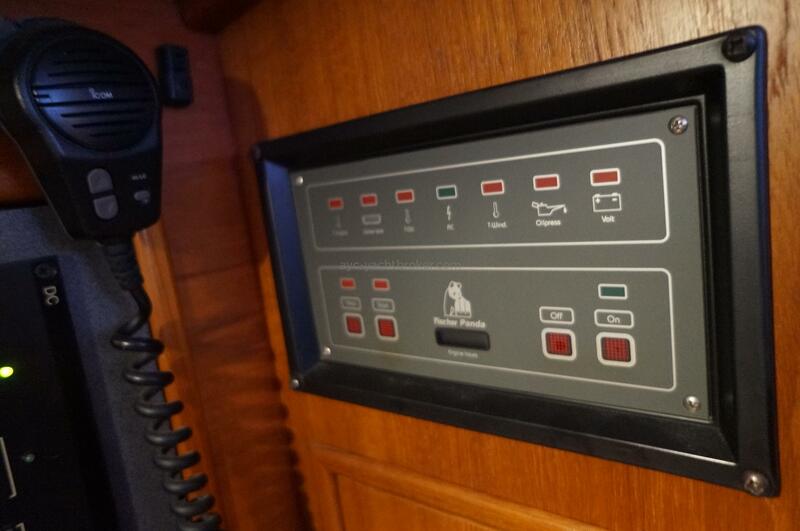 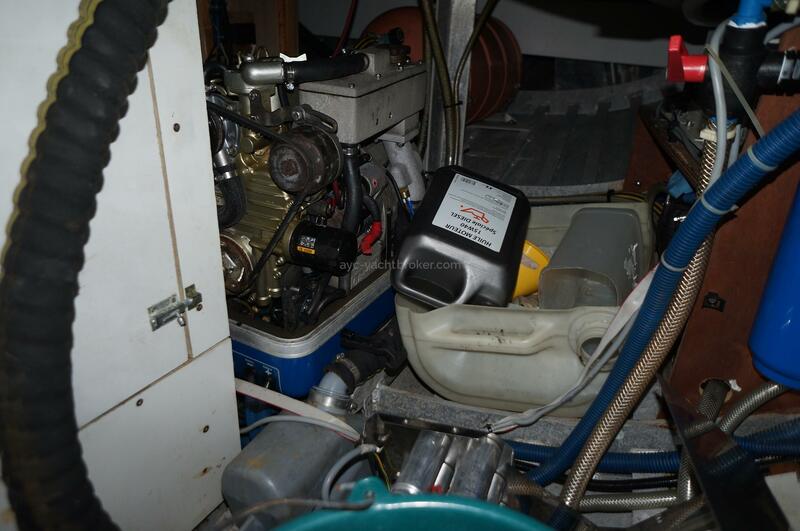 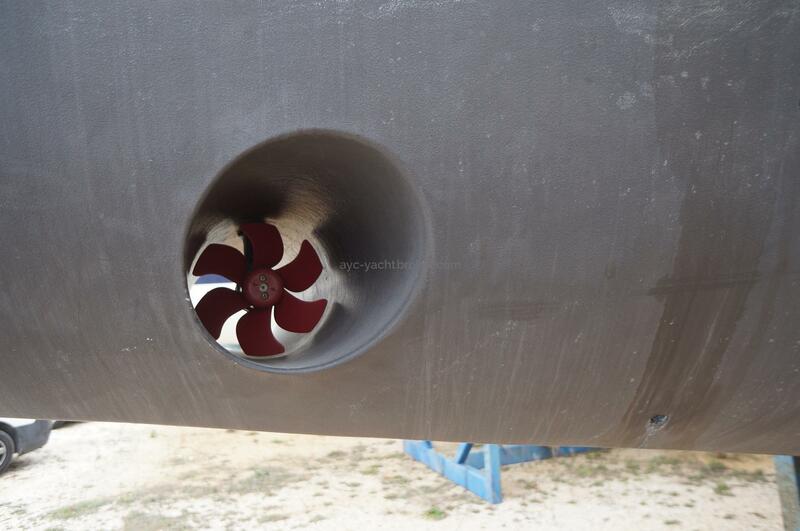 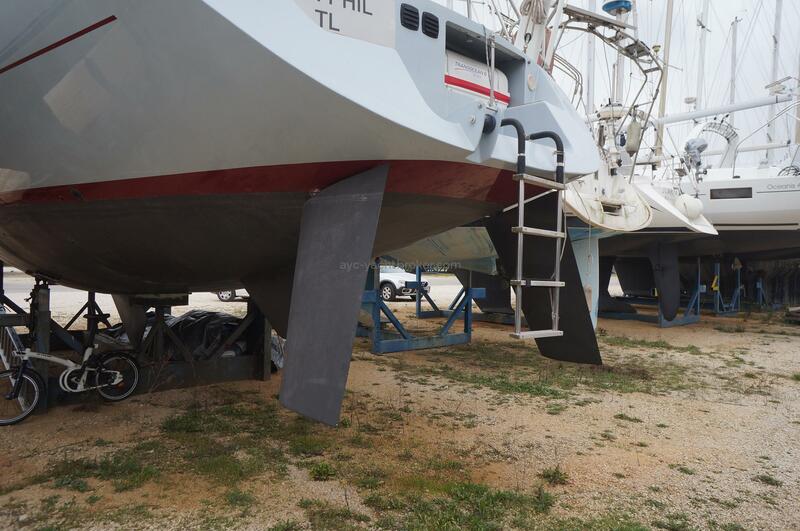 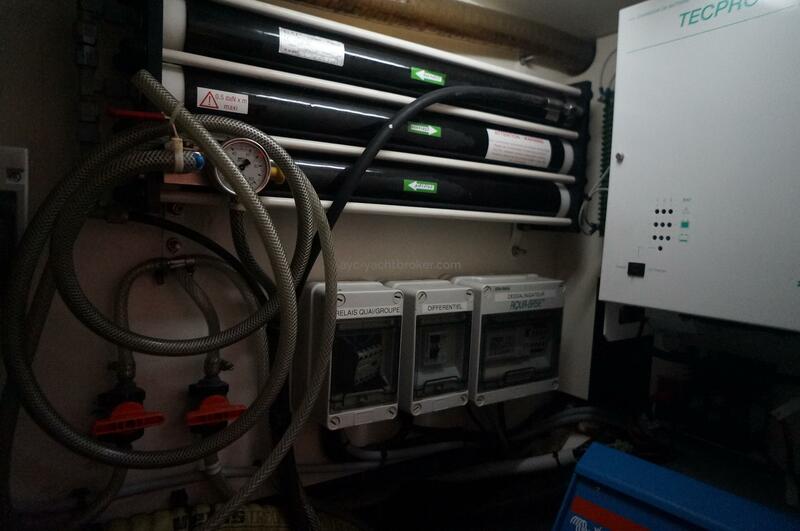 I had a powerful bow thruster installed to facilitate port manoeuvring. 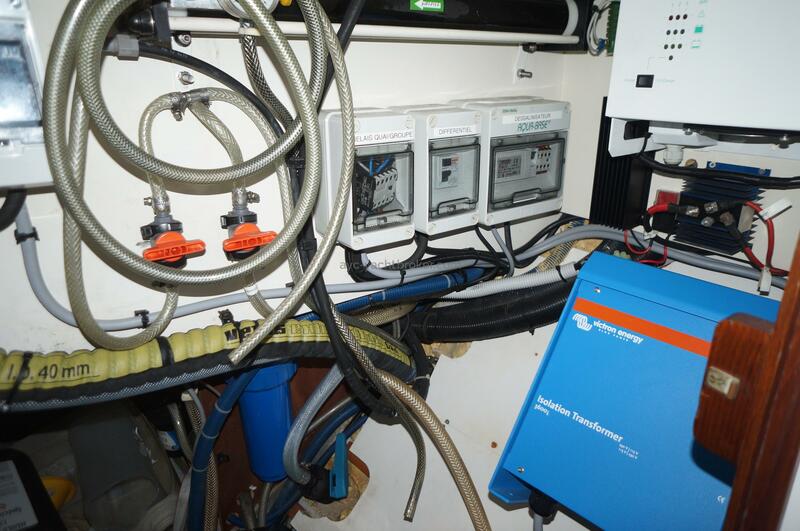 I have improved electricity and electronics. 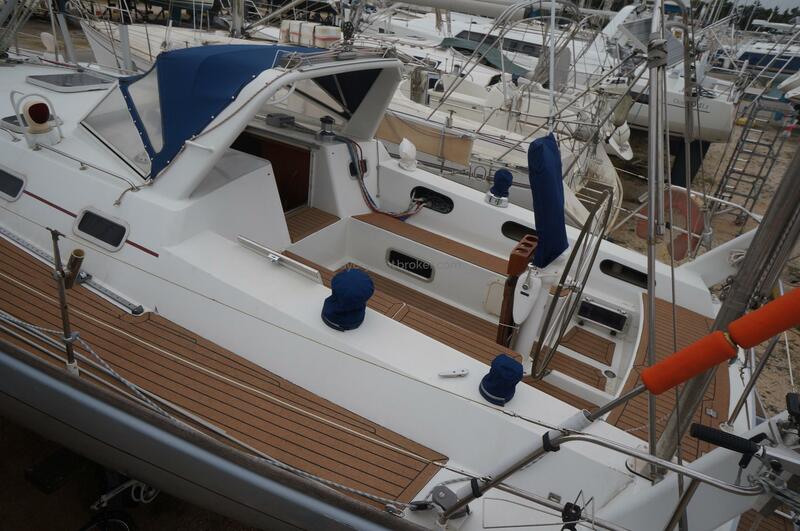 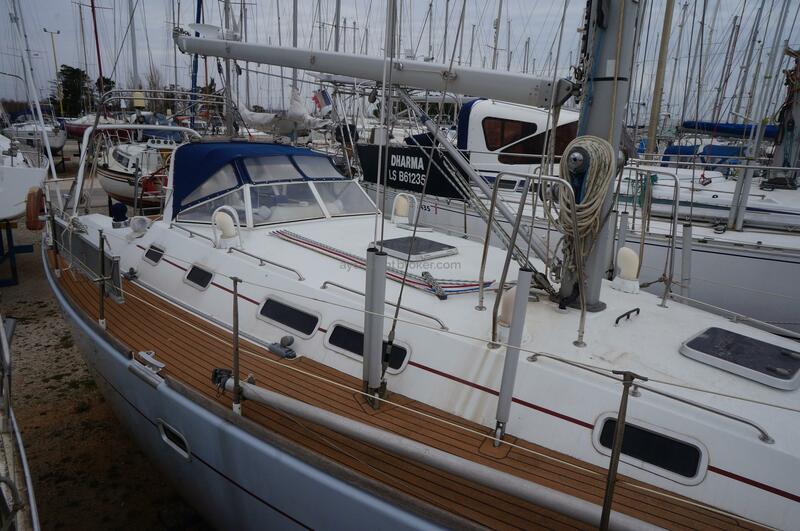 She is a very reassuring and suprisingly lively boat for its size. 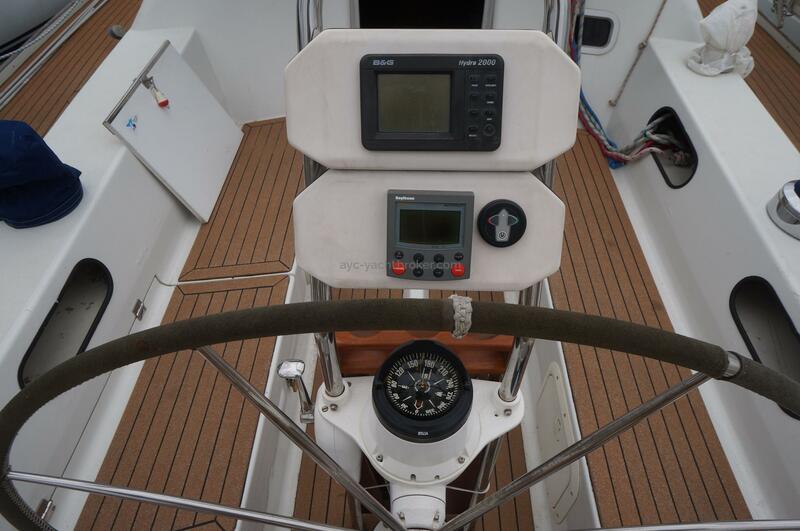 She is easy to manoeuvre even with small crew.